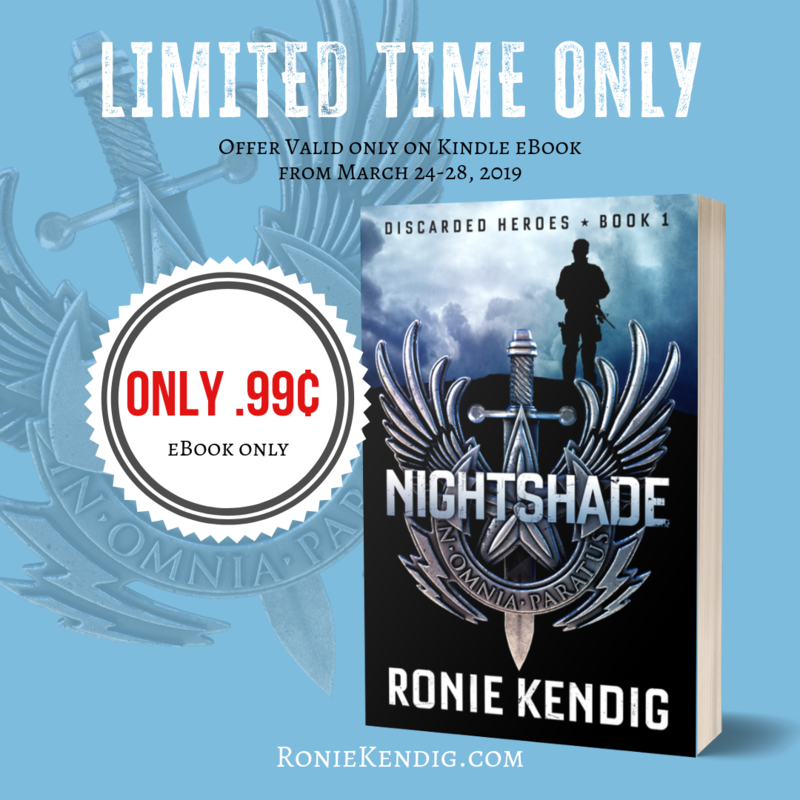 Once you’re done with NIGHTSHADE, check out the other titles that are either free or also .99¢. From there, pick up the rest of the Discarded Heroes (see below). CLICK HERE to grab your digital copy! You can change your mind at any time by clicking the unsubscribe link in the footer of any email you receive from us, or by contacting us at ronie@roniekendig.com. We will treat your information with respect. For more information about our privacy practices please visit our website. By clicking below, you agree that we may process your information in accordance with these terms. Ronie is represented by Steve Laube of the Steve Laube Agency. Intense Action. Raw Characters. Real Life. Literary Recognition for Rapid-Fire Fiction! Patrick Carr – COVER REVEAL! 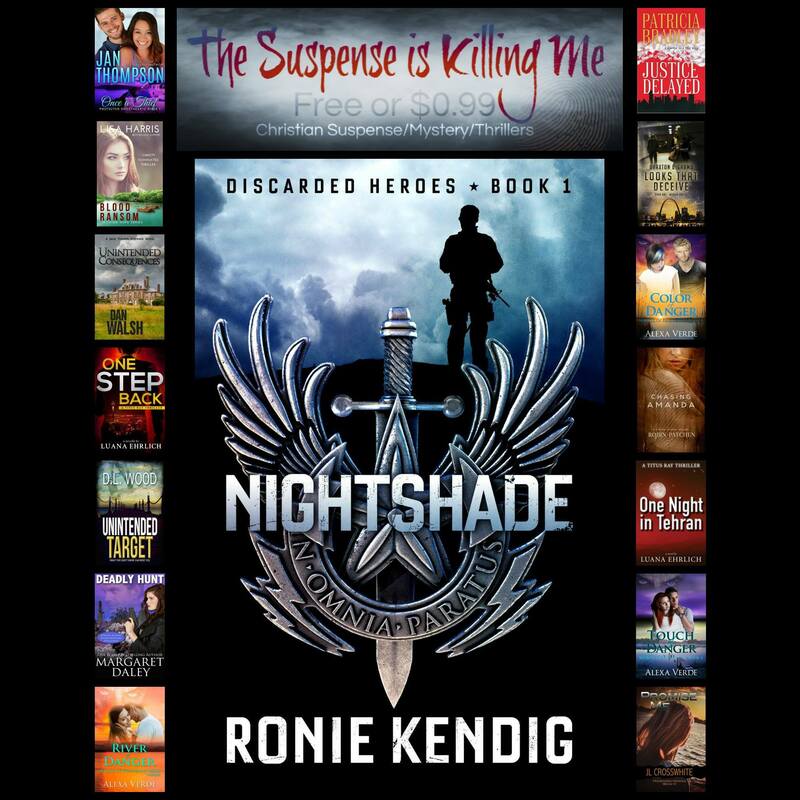 © Ronie Kendig. All rights reserved. || Site design by Jones House Creative.